Tellin Family Tellinidae. Is a large family of 14 genra and about 350 known species. These shells are primarily ovate but can be round, triangular or oblong. There size ranges from 1/4 to 4 1/2 inches. Most Tellins are compressed, with the back end turned a little to the left and the left valve deeper and often a bit larger than the right. The right valve usually has a strong ridge turning from the umbo to the hind end, with a corresponding furrow in the concentric ridge. Tellin color. Interior is white. Outside colors may vary by species. This shell type has 2 central teeth in each valve,larger one with a single groove, side teeth are strong in right valve, weak in the left. Tellins habitat. They prefer sand from low-tide to water of 100 foot depth. Most are found in tropical waters world wide. Sunrise Tellin. Tellina Radiata is elongately ovate; front is evenly rounded, hind is slightly narrow and umbones small. This forms an angle in center of upper margin, has large ligament in shallow depression. Exterior is whitish, tinged with yellow and often radiantly pink, umbones are pink. Overall, shell is shiny smooth with a flat triangular front and hind side. It has teeth in right valve. Habitat. Prefers sand with water of 5 to 48 foot depth. It ranges from South Florida to Northern South America. The color and texture make it a favorite among shell collectors. The species is not considered rare. The Sunrise Tellin is a bivalve . This means the mollusk has formed a bottom shell and matching top shell. In this listing you receive the complete bivalve; top shell and matching bottom. 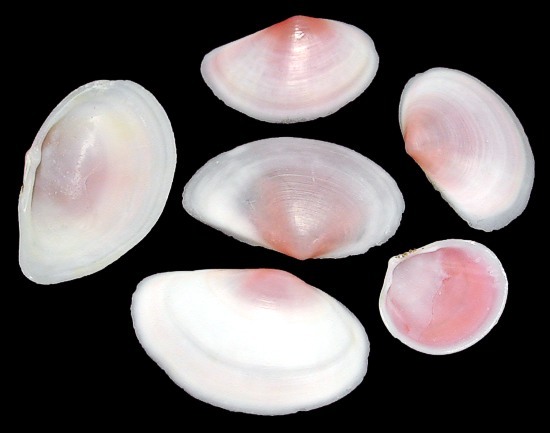 The Pink Tellin: scientific name: Tellina Lineata. This shell is often called the Rose Petal Tellin. It is broadly ovate, front end rounded and back side narrowed. Its umbones behind middle; low ridge from umbones to lower angle of hind end. The ridge in left valve lower than in right. Color. The Ink Tellin's exterior is white; often blotted with yellow or with pink rays near the umbones or they can be strongly infused with pink. 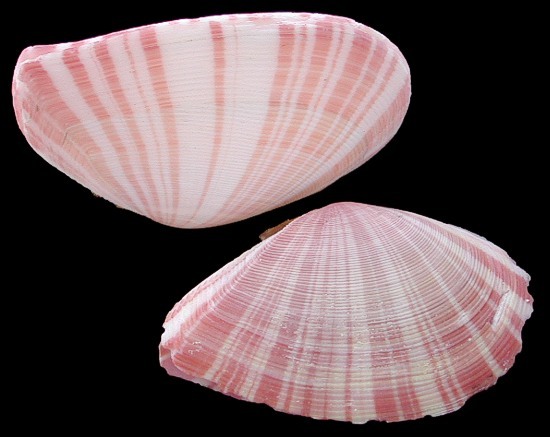 The interior of the shell is pinkish white or white, some are blotted with pink or yellow. The shell's strongest area is its lower front end. The right valve has two triangular central teeth and one strong side tooth on each side. The left valve has one central tooth and 1 weak tooth on the hind side. Habitat. Prefers sand near low-tide line to water up to 60 foot depth. Its range is from Northern Florida across the Gulf of Mexico to Texas and South across the Caribbean to the Northern Coast of Brazil. 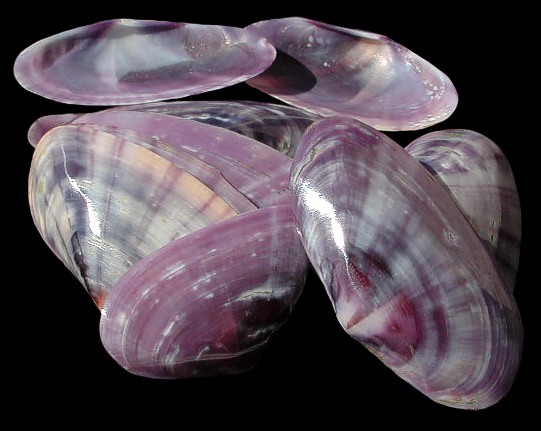 This species is often used in shell craft to make rose pedals. This species is found in Tropical waters, sandy seafloors across the Indo-Pacific region.